The Mulitfaceted Diva: Take a Stand Already! I usually don't take advice, well, unless it comes from Jim. But I listened to Nolie and got the heck out of Dodge, well, Portland, today. We took the bikes out to Lincoln City. I was cursing her the first half of the trip. I was thanking Al Gore all morning. I mean, without global warming I would be frozen to the side of the "Don't spray the bear" sign on Hwy 6 (what does that sign even mean?). 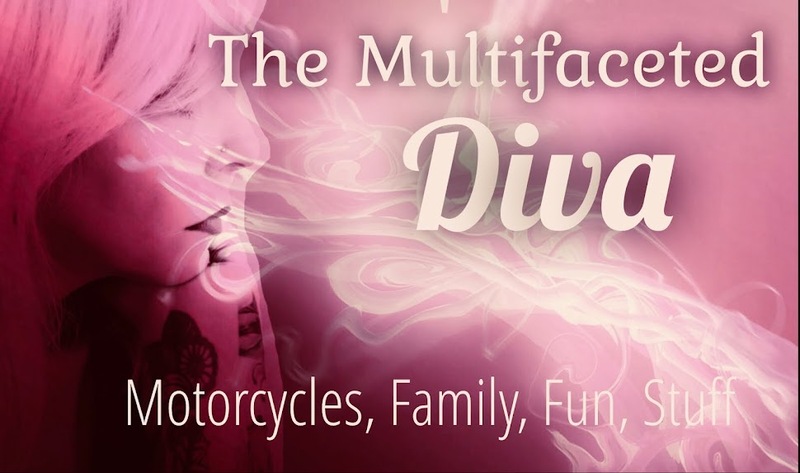 Riding alone on a Harley, being in a tribal casino, having a herd of kids and being bipolar gave me lots of bubble thoughts today. No, this will not be a post of substance. It will be on bubble thoughts. I might just have to make a hop for Bubble Thought (insert day). Store Clerk: "Did you find everything ok?" Bubble Thought: "Looks like you found your makeup but didn't find the mirror." Two people were getting SEVEN frappuccinos at Starbucks. They were standing in front of the straws taking one straw at a time, slowly removing the paper and putting them carefully in each drink. They did this while watching me waiting on them to MOVE it! I needed ONE freaking straw! Bubble thought: Sorry I can't even begin to tell you what I was thinking; it would be CENSORED. Man overheard, ok, I was eavesdropping, at the casino: "I'm an Independent." Bubble thought: "You freaking wuss! Make a commitment already!" That one may need some explaining. Come on, I mean independent? What an idiot! If there's anyone I detest more than the fringe left and the fringe right it's an "independent." At least the fringe have their beliefs, they can tell you why they have them and they make a stand. Pick a side already or "NO SOUP FOR YOU!" Jeff tells me he "almost" touched a semi going 60 mph down 205. Bubble thought: "Then I'd have a million and a half in life insurance, moron." Well, I guess a actually said that one. I was flying down the road in the middle of the Tillamook National Forest and saw a sign that said "Timber." I looked around, all around. I give my most sincere thanks to Nolie for today's post. Swing by and tell her I sent you or you just may be the victim of my next bubble thought. Oh, and tell her that she has the cutest profile pic ever, or NO SOUP FOR YOU! Ok, now for the pics I took for Nolie. I'm all for the Bubble Thought day. Just let me know. I won't even discuss my political opinions with you. You can be scary. Not really, but I do consider myself a Progressive Independent. A little from both sides. LOL! Do you still like me? I'm a new follower from Admirer Monday! You're hysterical and I can't wait to read more! I have bubble thoughts all the time. The Man sometimes says that he can see the words forming as I think them. Your bubble thoughts rock! You definitely should start the Bubble Thought blog hop. That is hilarious! Since Jeff started it, I say use the Bipolar defense for everything (except homicide, please don't kill Jeff). Very Pretty area there. I am jealous!!! Totally jealous of the scenic tour on your bikes...but LOVING the bubble thoughts!!! Cool concept! Love your blog, I am following you now from Admirer Monday. Just Me, I'll love you always! For some reason, I can't open your profile? You're funny! I found your blog from the Lady Blogger Tea Party. Nice. Especially liked the independent one. I am learning more and more about things Divas don't do well with. Hmmm sorry for your frustrations but one of your sights reminded me of a bubble thought. Tillamook ... They make a good CHEESE! Thank you for following Tell Me Something Good blog. Tomorrow we'll be talking fashion. Come back and join in. Now I think BUBBLE THOUGHTS when I have them!! LOL!! 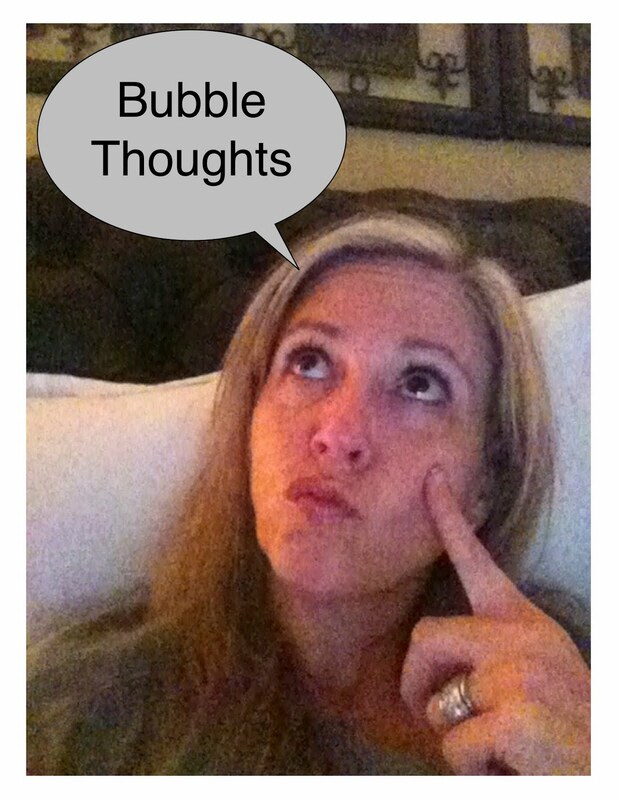 Love the bubble thoughts!!!!! beautiful pictures!! 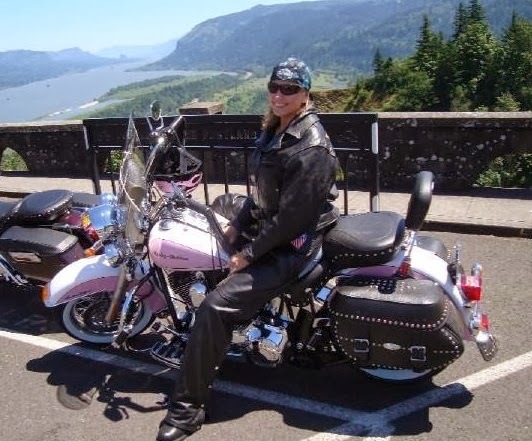 OMG a pink Harley? I want a purple one. NOW NOW NOW! Wait need a licence to drive it too but we will worry about that AFTER I get the purple Harley. I am glad I inspired you to get the heck out of town and take some pics. Hope you do it more often. Love the bubble though and I will totally back you on the bipolar defense for homicide. LOVE your bubble thoughts! I have caught myself thinking the same things many times! Thanks for stopping by my blog and following. I was so psyched to see you there! I don't know why it didn't let you comment :( So stop by and try again, or as you say, NO SOUP FOR YOU! LOLOLOLOL! hahahahahaa we could sit in starbucks and blow bubbles all day lolol. Oh yeah, definately some bubble thoughts can take place out my way lol. Bubble Thought Thursday...has a nice ring to it! I'm in! My brain is a plate of spaghetti and it is 108 degrees outside...trying to get today over with. Maybe I need a bike to ride off into the sunset! Very cool blog.. I love it! Im your new follower! So now you are the Bubble Thought Nazi? I love it. Bubble Thought day. It doesn't even have to be the same day. It's whenever you feel like it! LOVE IT! I'm glad you got out of dodge. That's such a beautiful ride. Oh thank you, thank you for the laugh tonight! I needed it! Know what? I actually thought about you as I opened my laptop and felt like I missed you! So I came to see you. You know like a real live person misses someone they are used to being around. It's as if you were a real person and not some pretend friend hiding in my laptop! Bubble thought sounds like fun... definatly count me in. Oh I can't wait!